After hours of looking online for some web design inspiration, you’re ready to get started with a new site and now need a website builder. There are a multitude to choose from, so which is the best? Well, for a start, you’ll be looking for a website builder that can create your website in the latest version of HTML, HTML5. 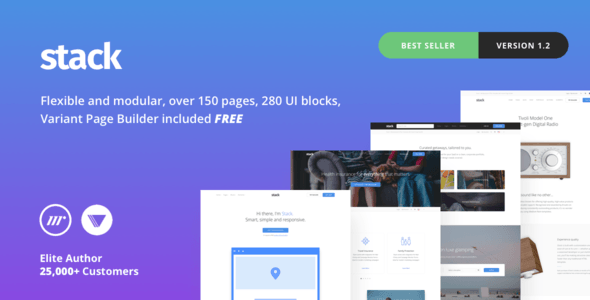 And secondly, you’ll want a tool that simplifies the process of web design and enables you to create a great site without needing to know a lot of programming or coding knowledge. Marketing is one of the most valuable business idea. If you want to make the best quality website design, you have to choose the template wisely. There are hundreds of marketing templates in the markets. 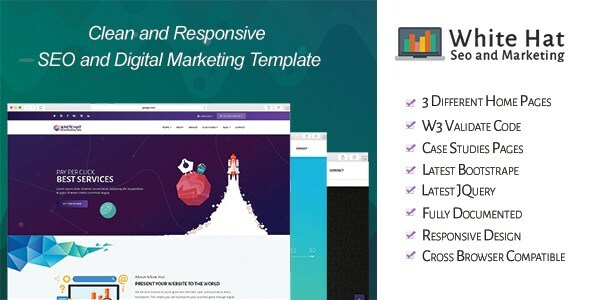 But we will introduce the top 10 HTML5 marketing templates 2017. These templates are based on ratings, design quality and best sellers. One of the main advantages of SEOsight HTML template is accurate code structuring, with a table of contents, comments and block structure. For the development of SEOsight, we used the latest technology called Gulp. It makes the template more responsive, fast and easy in use. 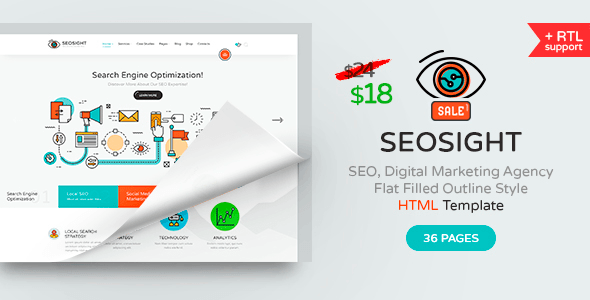 SEO sight was built with SAAS, that made the template well structured, simple and user-friendly. Due to SAAS, the user may change main colors with only one click by changing styles for global variables. 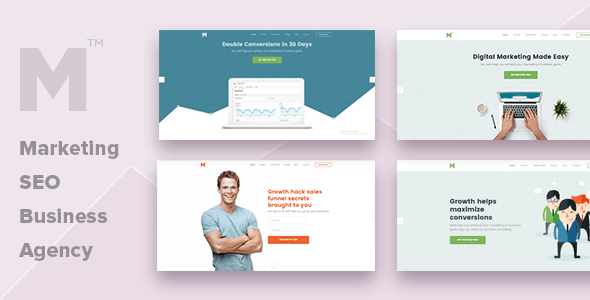 Moharram is a material design responsive startup landing template. It’s one page, clean and modern design. It has three different header design and 13 different color layouts. 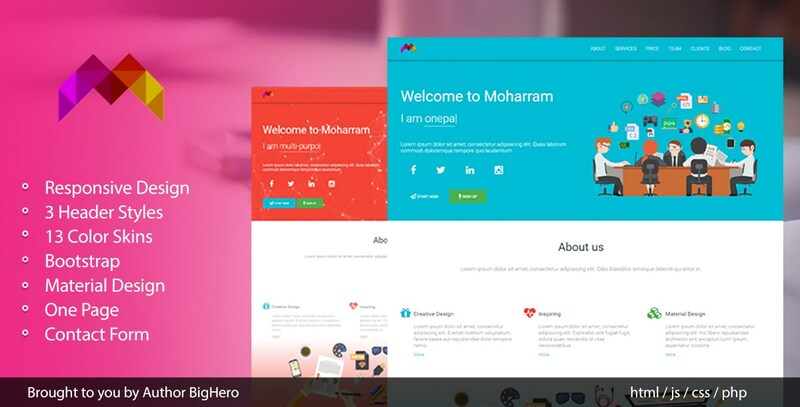 Moharram is built with latest HTML5, CSS3, Material Design concept and Bootstrap 3+. The clean and unique design will amaze you. It’s fully responsive and mobile first. 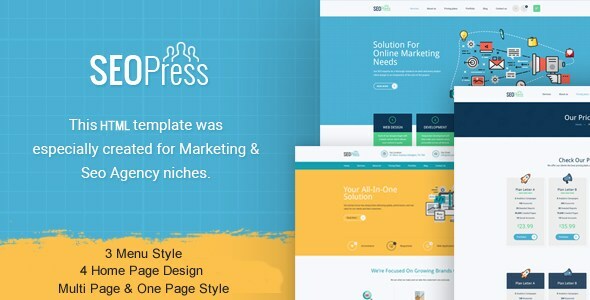 Marketing – Multipurpose Business Template suitable for Marketing Agency, Studios and Consultancy Services. Well Organized HTML & CSS code is the key features of Marketing. The layout is based on an advanced responsive Bootstrap grid which makes your website looking perfectly on any device and screen sizes. PSD included. TopSEO is the premium template for SEO, Digital Agency or any kind of purposes. It is built with the latest version of Bootstrap, LESS CSS, and HTML 5/CSS3. This template is a highly suitable template for companies that offer SEO/Web services as well as other Internet marketing related services. It has the purpose oriented design, SEO optimizes, responsive layout and special features like 2+ landing pages, Case Study, and Service page. 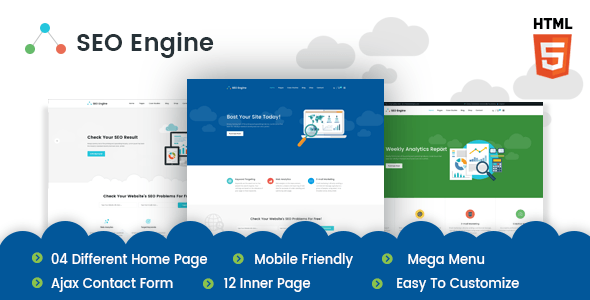 SEOEngine is a clean and modern HTML5 Template for all kinds of SEO, Digital marketing, and Web Agency Company. It is perfect for any kind Web and a corporate business company like SEO Service, Digital Marketing, Email Marketing, Web Service provider, Software Development company and mobile application development company etc. It is easy to use. SeoPress was specially created for Seo Agencies website niches. 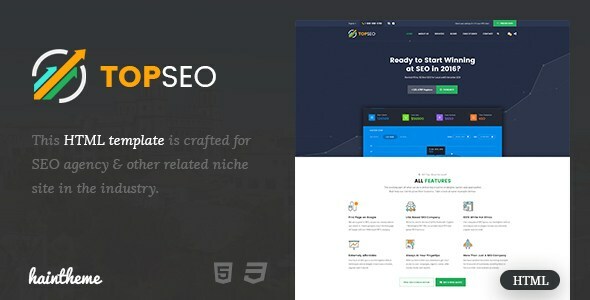 It’s Built with Bootstrap, designed for all type of Marketing & Seo company websites. It is beautifully designed in a very smart way to bring the best user experience that you will love. TopSEO is the premium template for SEO, Digital Agency or any kind of purposes. It is built with the latest version of Bootstrap, LESS CSS, and HTML 5/CSS3. 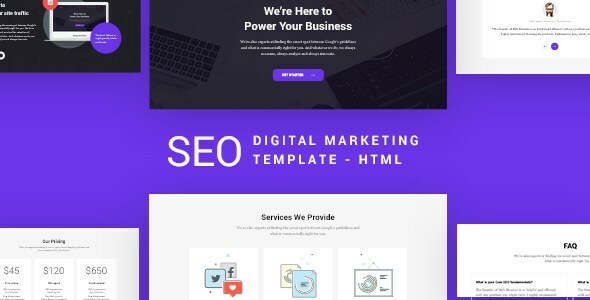 This template is a highly suitable template for companies that offer SEO/Web services as well as other Internet marketing related services. It has the purpose oriented design, SEO optimizer, responsive layout and special features like 2+ landing pages, Case Study, and Service page. 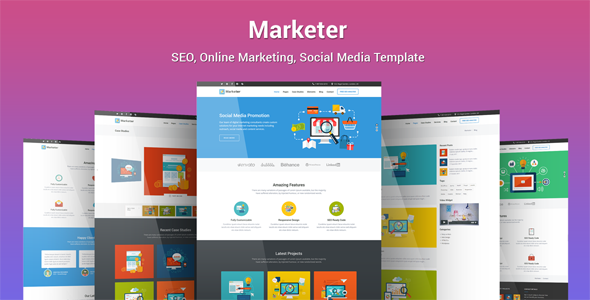 SEO – Digital Marketing Template suitable for Marketing Agency, Studios and Consultancy Services. Well Organized HTML & CSS code is the key features of Marketing. The layout is based on an advanced responsive Bootstrap grid which makes your website looking perfectly on any device and screen sizes. PSD included. Do you have an SEO association that you have to make a site for? Is it precise to state that you are an SEO race expecting to make a site to educate people concerning the organizations you offer? Not all website templates are upgraded for SEO, but rather utilizing an especially improved SEO Friendly Website Templates can help you with devastating your enemies. A decent SEO-upgraded Templates will help you with situating your posts on Google request things. All in all, there are many other templates that we could list here, But the above templates are the most popular and creatively design. So take your time and find the theme that best fits your website. With any of them you get pro functionality and a striking look for free.